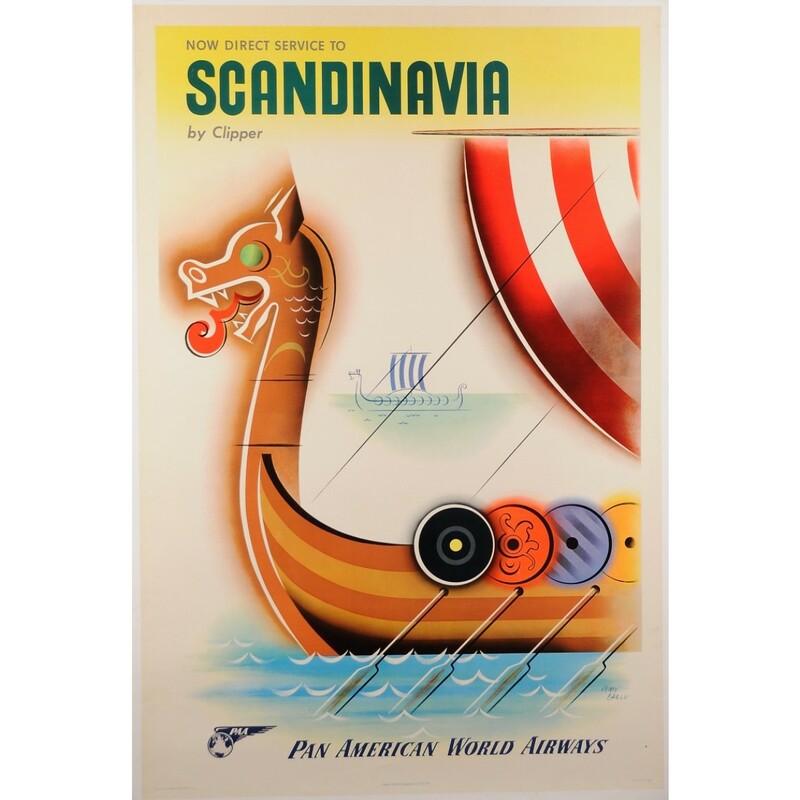 Advertising Poster for "Pan American Airways"
A beautiful poster (ca. 1950) by Jean Carlu for Pan American Airways. Jean Carlu (1900–1997) was a French graphic designer–artist whose fondness for cubism drew him to the Art Déco where he excelled. Pan American World Airways, commonly known as Pan Am, was the principal and largest international air carrier in the United States from 1927 until its collapse in 1991. 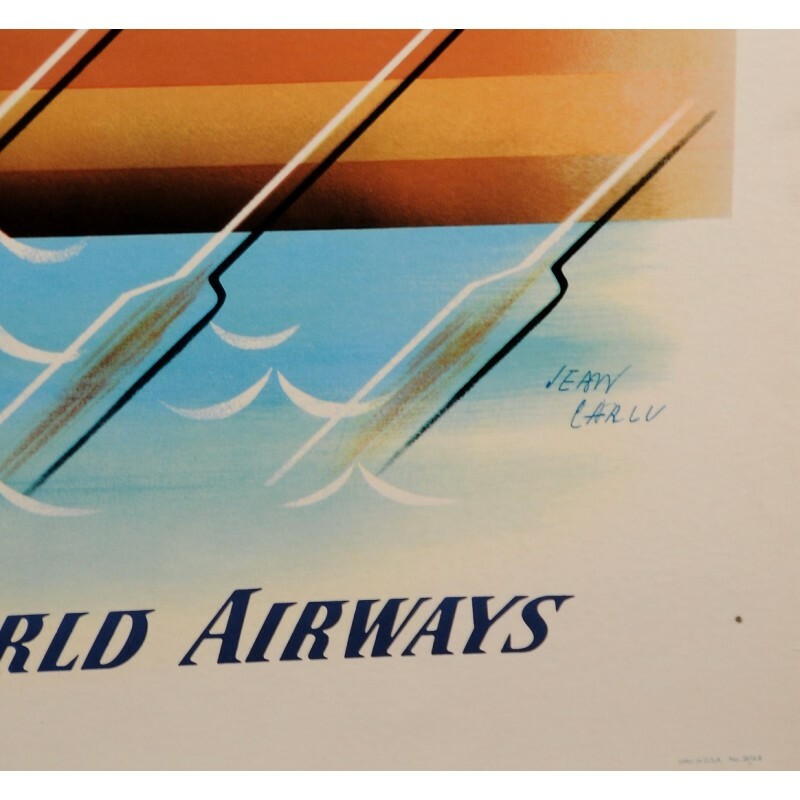 The airline was a cultural icon of the 20th century. This advertisement for a new air route to Scandinavia features a drakkar, a vessel used during the Viking Age in Northern Europe. Drakkars had a dragon´s head or other circular object protruding from the bow and stern and ranged in the Baltic Sea and far from the Scandinavian home areas, to Iceland, the Faroe Islands, Greenland, Newfoundland, the Mediterranean, and Africa.